British International Grand Prix rider and trainer. Former junior & young rider team member and long listed rider for the Sydney Olympics in 2000. List 5 judge and a BD insured accredited trainer. Trained pony, junior, young riders & 4* eventers with high success with junior & young riders at European level. 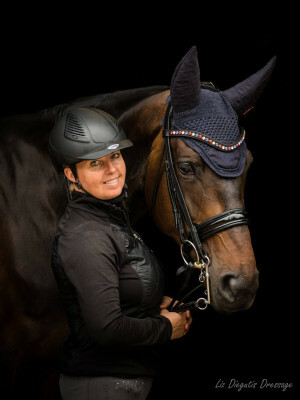 Currently competing at International Grand Prix level on a mare Liz bred, backed and trained herself. Sponsored by LeMieux products, Equine74, Nikki Moxon Equestrian, Rowen Barbary Horse Feeds and is an ambassador for Animalife.